SomaSoul® Somatic Therapy is a mind-body healing modality that utilizes mindfulness practices and the expressive arts (drawing, journaling, movement) to aid clients in accessing and bringing healing to mind-body tension. Too often our focus in therapy is on our verbal narrative. What happened? When? Why? We tend to neglect another powerful storyteller, our body! In fact, our bodies record our emotional experience as adeptly as our mind. Our viscera and nervous systems record our entire lives and express these memories in body tension as well as emotional and physical imbalances. In SomaSoul® we aim to help clients strengthen their ability to notice, experience, and bring understanding to their body-centered emotions as they connect with heartfelt support from their therapist. are available in person at my office in Lee, MA or via video calls on Skype, Google Hangouts, and FaceTime. To schedule an appointment visit the contact section of this website. I teach within a number of workshops with LIFE Movement Founder and SomaSoul® creator Dan Leven at Kripalu Center for Yoga & Health. 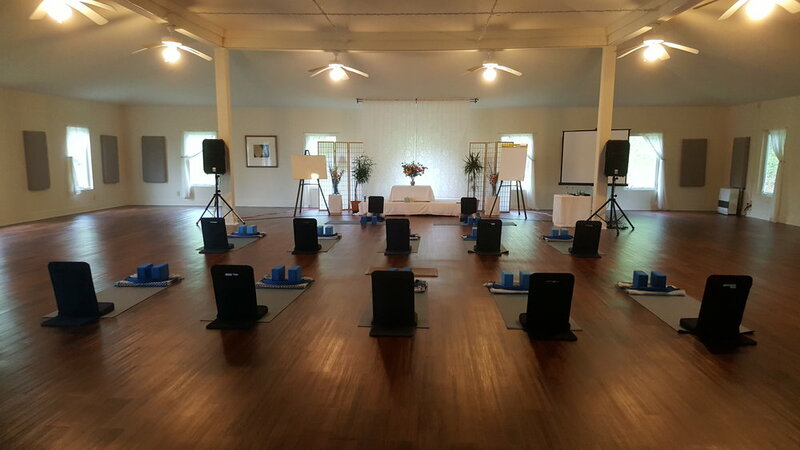 I also lead introductory workshops in SomaSoul®. For a full listing of opportunities visit my events page. Do you want to become a SomaSoul® Somatic Therapy practitioner? I am adjunct faculty for Dan Leven's Professional Training in SomaSoul® for more information regarding how to become a SomaSoul® Practitioner or Registered Somatic Movement Therapist please visit the LIFE Movement website.